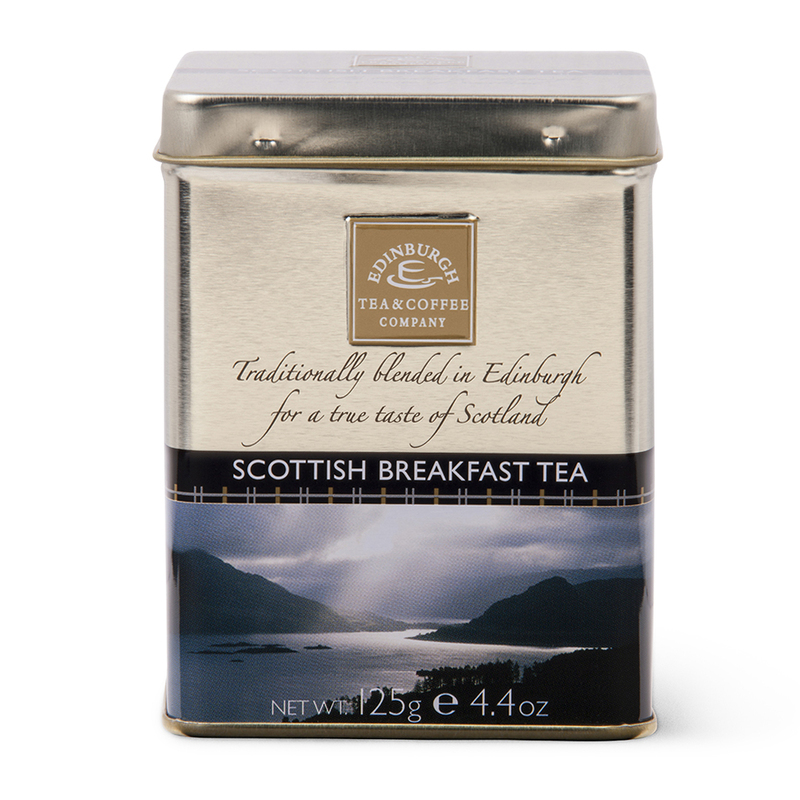 Loose Scottish Breakfast Tea made of a traditional full-bodied blend of the finest teas from Assam, Ceylon and Africa. This brews a rich golden cup of tea with strength and liveliness to waken the taste buds. In a traditional caddy from the Edinburgh Tea and Coffee Company. Modern porcelain tea pot in vibrant red colour with fine stainless steel infuser and flippy flat lid is perfect for brewing the finest tea exactly how you like it.